For most artists, their careers start off by driving around in vans to club shows across the country, and if they’re lucky perhaps they graduate to a bus sometime down the road. Most artists start by making some noise in their home state, and then maybe hope to garner the attention of a national audience and a Nashville major label. Most artists begin their careers most closely tied to the roots of the music, and then start to work in more commercial sensibilities to broaden their audience as times goes on. Not to gloss over the very early stages of her career, but for Sunny Sweeney, the arc has been nearly the opposite. It’s been inverted. Yet her situation still feels very much like a victory, and a success story. One of the very first signees to Scott Borchetta’s Big Machine Records when he first started the label was Taylor Swift. Another was Sunny Sweeney. She had a Top 10 hit on country radio in 2010 with “A Table Away.” She was a part of one of the most successful and fastest-growing label groups in country music history, and she was a respected songwriter who wrote most of her material. But Nashville and Big Machine weren’t her home. Texas was, and so after a couple of albums, she came home and became an independent artist. 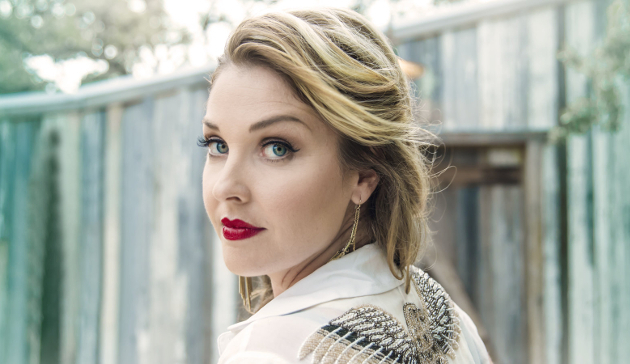 Even still, in her first solo released record, 2014’s Provoked, the Sunny Sweeney sound still had some of that Nashville mainstream sensibility, or perhaps it would be more appropriate to assign the influence to the more commercial elements of the Texas country scene. Not a pop record by any stretch, but some of the vestiges of her time in the mainstream world remained. 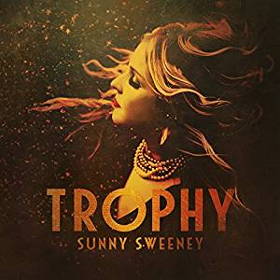 With Sunny Sweeney’s new album Trophy, it’s country, it’s Texas, and most importantly, it’s Sunny Sweeney all the way. This isn’t a hard country honky tonker cover to cover, but it’s definitely got those moments, and never do you feel like Sunny is making a compromise for anyone. And beyond the sound and style, Trophy has not one, but two top shelf songwriting efforts that will compete with even the stalwart songsmiths in Americana for some of the best all year. And maybe three songs that would fall into that category. Trophy is the full package. It is a homecoming for Sunny. Like she says so well in the song “Nothing Wrong with Texas,” we all get so swept up in thinking there’s greener pastures, and better opportunities in latitudes and locations beyond our own, we forget that sometimes the things we go searching for in life are right under our noses. It’s not always a compromise to settle. Sometimes there’s nothing better than what you already have. The opening song “Pass The Pain,” and the strong cover of the old Jerry Jeff Walker song “I Feel Like Hank Williams Tonight” written by Chris Wall give the country crowd the red meat on this record they crave, and help set the tone and mood of Trophy. But the depth is what will be the most lasting contribution. “Bottle By My Bed” is such a well-crafted song, and you can it tell comes straight from the heart of Sweeney. A line like “I don’t even know you yet, but I know I love you,” is something that is just so hard to hear, but incredible to behold. It’s this type of specificity that gets scrubbed out of most mainstream music because it’s too real, and too touching. “Bottle By My Bed” is hard to top. Other very strong songwriting efforts include the sweet “Grow Old With Me,” and the touching “Unsaid”—the latter being an idea done before many times, but still hitting on an element of life where the guilt finds its way into the grief, and delivers a perspective we all must heed about the fleeting nature of moments, and what to really prioritize and cherish. And there’s also a few songs that are sensible and fun, and fit into that female style of country music that has a little attitude and sway to it, like the salty “Pills” written by Brennen Leigh and Noel McKay, and the revenge-driven title track. This Pistol Annie type of stuff will make Trophy not just a favorite of critics, but will find an ear with fans who don’t just want to cry every other song. Trophy is the name of Sunny Sweeney’s fourth record, and a song about an attitude problem of an ex-girlfriend or wife. But the title is also indicative of a victory. The problem with money and fame is that you can always have more of it. The true victories in life are the ones earned when you discover something about yourself, and achieve a goal that is personal to you. Sometimes this comes with the earning of great wealth and recognition, and sometimes it comes at the compromise of them. But the measurements of fame and wealth are arbitrary and capricious. What’s most important is the personal discoveries you achieve. That is the point of the pursuit of happiness, and what is at the heart of Trophy. Love Sunny! She writes some great songs and seems to choose just the right covers. Part of me wants her to be a big star but then the selfish part of me wants to keep her as a secret! This has been on repeat since I found it last Friday. Really good album and I love the way many of the songs play with expectations. Bottle by My Bed is a prime example. I looked at the title, thought “oh, no, not another one of these songs.” I was pleasantly surprised at where it went. Yeah, I tried to give mention to that but didn’t really elaborate. I guess my point was she didn’t have a early career like many Texas country artists where they release multiple albums either independently or on smaller labels before signing to a major label. That’s not to imply she didn’t have early career struggles or didn’t pay dues. This is a damn good record. Her best one yet. I was waiting on your opinion about this album and I wasn’t dissappointed. I’m reading your reviews and very often we don’t see eye to eye, but in this case I’m glad we finally do. I’m not a big fan of Sunny (the only her songs I like and can keep on repeat are “From a table away” and “Carolina on the line” which are probably too mainstream for your liking), but I totally love this album. “Better Bad Idea” and “Pills” ain’t my favorites, “Bottle by my bed” makes me cry since I want so badly to be mother myself, “I feel like Hank Williams tonight” didn’t appeal to me at first but now it’s one of my favorite songs on the album. “Trophy” is sassy, “Grow old with me” is very sweet, “Why people change” asks very important question and “Unsaid” is pure heartbreaking. “Pass the pain” – I don’t like it, I’ll be honest. I don’t know of many songwriters who are as clever or creative as Sunny Sweeney. She turns a phrase so easily you hardly recognize it. Great album and a surprisingly fun act to see live. This album for me, is one (if not THE) best album of 2017 so far. Every song is a winner in my opinion. Very strong, solid album. “Pass the Pain” & “Bottle by my Bed” It’s sad times when people are actually making great country music, but radio/the mainstream are not paying attention. Thanks for reviewing this album Trigger! I didn’t care much for “Provoked,” so I didn’t have high expectations when I listened to “Trophy” this past Friday. Then I listened to it 3 more times on Friday. And I’ve had the songs stuck in my head all weekend. And I agree with your top 3 of “Bottle by my Bed,” “Unsaid,” and “Grow Old with Me.” Terrific songs. It’s interesting to note that Sunny and Taylor were both part of the flagship Big Machine line-up. I used to be disappointed that Sunny wasn’t the bigger name, but I’ve also come to realize that if being more “underground” so to speak has given her this ability to forge her own path and stick to her guns, then this is for the best. Sunny is an astute observer, and one of her strongest qualities as a songwriter is her ability to take a normally unsympathetic character and make them human. In “Concrete”, she explored the concept of the other woman, of whom there have always been country songs about but rarely from their specific point of view. In “Trophy”, she does that again with the stereotype of being a younger wife or girlfriend, turning it into a snappy comeback towards the woman trying to put her down. Trig, if you don’t mind me asking, how do you interpret “Trophy” as a revenge track? I myself hear it as the speaker telling it like it is to the ex. Overall, I think she has knocked it out of the park. I think I’m the only person here who can’t warm up to “Bottle by the Bed”, but I still think it’s a well written song. Otherwise, everything here is great. I’ve already downloaded it and I think I’m going to be purchasing a hard copy to keep around as well. Maybe “revenge” track wasn’t the best way to put it, but it’s definitely sassy, and attitude-driven. And I think there’s a little bit of revenge in the inspiration for it. I’ve been a sorta fan of Sunny’s, with some good songs here and there, but I agree that this is her best album yet. Welcome back to Texas country Sunny. There’s something about the pitch of her voice on this album that cuts right through me. I think this is album of the year material, but it’s shaping up to be a very competitive year. I love “Trophy.” It’s my second-favorite album of 2017, trailing only “Spades & Roses” by Caroline Spencer (this year’s Dori Freeman). It’s shaping up as another excellent year for the ladies. Do you mean Caroline Spence? I absolutely do. Terrific songwriting. Neilson Hubbard did a fantastic job producing. I would like to see him and Teddy Thompson produce more country albums. They don’t bring their own sound to the project; but add subtle touches that enhance well-written songs. Both of these albums would sound great on the radio. damn good record! great review, once again. hope to see her live! just bought a ticket for her OKC show on June 15th. STOKED! ? This is her best album since Hearbreakers Hall of Fame, the one that made me fall in love with her. Like Sunny Sweeney- nice CD- kind of reminds me of early Nanci Griffith. Once again I had to go back in time to read a review of an album that’s currently in my playlist but I didn’t get when it came out. It wasn’t until Trigger reviewed Bottle By My Bed that I got it. This album is incredible. It’s a shame very few know about it.